Answers to every question we could think of about our campaign for the hunter-gatherer Awá of Brazil, the most threatened tribe in the world. What do you mean by ‘most threatened tribe in the world’? 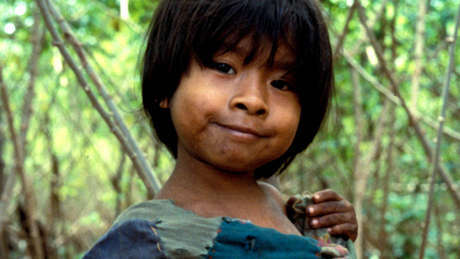 Contacted Awá number about 360, and it is thought that around 20-25% more are uncontacted. They are a small tribe, which obviously puts them at risk. Uncontacted tribes – those with no peaceful contact with non-Indians – are unquestionably the most vulnerable peoples on Earth, constantly threatened by hostile encounters as well as diseases introduced by outsiders to which they have no immunity. The Awá are unique because their forest is being felled at a faster rate than that of any other uncontacted people, and because they are entirely surrounded by loggers and ranchers. Loggers have felled everything around Awá land and, now, increasingly, within it. Unlike other uncontacted Amazonian peoples, the Awá have nowhere left to retreat. There are several accounts of them being killed by loggers and ranchers, but there is no recent confirmed data because uncontacted Awá don’t build houses (which would be visible to monitoring aircraft), and encounters are not reported. The loggers are breaking the law, by even entering the reserve, and they can react violently to in situ investigations. Why do you say the tribe faces genocide? This claim has been made by a Brazilian judge. The UN definition of genocide (‘the intent to destroy, in whole or in part, a national, ethnical (sic), racial or religious group’) clearly applies to the predicament faced by the Awá: the surrounding loggers and ranchers have made it clear that they want to get rid of the Indians. Of course, if even all the Awá were killed, or died as a result of logging and ranching, the number of dead would still ‘only’ be a few hundred. Some people wrongly think that genocide always involves millions being killed. Apart from having no relevance in law, such an interpretation discriminates against Amazon Indians who are numerically small. Doesn’t Survival’s imagery of the Awá support the idea of the ‘noble savage’? Why do you start the film with the word ‘paradise’? What awaits Indians following contact and the theft of their lands is at best penury, often laced with alcoholism, and at worst suicide or death. It is common for 50% of the tribe, or more, not to survive the first few years of contact. In comparison, the lives of those who still retain their lands and identities are incontestably better, even more ‘paradisiacal’. The observation has been made by many Indians themselves and is not a falsification. The contacted Awá were filmed going about their daily routine (obviously, no attempt was made to film the uncontacted Awá). The footage gives a straightforward, though clearly extremely brief, window into their lives. The film looks expensive, isn’t this a waste of money? Our film is the most effective, and by far the cheapest, way to get the issue to a wide audience. It was shot by Survival’s own staff on our own equipment, and edited in-house. No part was contracted out, and the total expenditure is reckoned to be about 7% of what we’d need to pay commercially. The funds used to construct the campaign and its films were not drawn from supporters, but from grants from foundations, and donations dedicated in memory of Laurent Fuchs by his family and friends. Much help was donated at no charge. Why use celebrities in the film? The most important issue is to get the Awá noticed on the world stage. Colin Firth is a long-standing supporter of Survival and tribal peoples, and is amongst our most widely-recognized supporters internationally. Heitor Pereira, who wrote the music, is an award-winning Brazilian composer and musician. Many online campaigns are accused of simplifying the issue or not knowing what they’re talking about. Why is Survival different? Survival has over 40 years’ experience working on these issues; it is the only international organization dedicated to tribal peoples’ rights around the world. It counts on many hundreds of ‘person-years’ of first-hand involvement in the issue, often on a voluntary basis, with the joint experience of its staff and committee members. They have included individuals who started investigating tribal peoples’ issues in the 1950s. (One of Survival’s founders, Francis Huxley, worked with a neighbouring tribe to the Awá over sixty years ago, when he accompanied famous Brazilian anthropologist, Darcy Ribeiro.) Survival has unrivalled expertise in the field of tribal peoples worldwide, and has been in direct, personal touch with countless tribal communities. Some people believe there are no uncontacted tribes left, and that all such claims are false. How do you respond? There are many tribes with no peaceful contact with outsiders, and we know of many we have not reported on. We have an unrivalled reputation for accurate reporting stretching over forty years. Every time our information is accused of anything less, we have countered with incontrovertible facts. Usually, those accusing us then apologize. Where sensible, we lodge formal complaints against any that don’t. How much of the money you raise goes to the Awá, and how much to other tribes in Brazil? 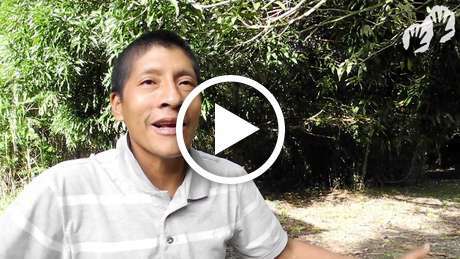 The problems faced by the Awá are not solved by giving them money, and we have not funded field projects with them; obviously, the uncontacted Awá don’t use money. Very little money goes to tribes, though we do occasionally fund some field projects, helping Indians put their own cases in court, or in meetings with officials. Such project funding is a small part of Survival’s work because there are many other agencies specializing in this type of funding which can support projects we recommend. Our work focuses on tribal peoples’ rights, especially land rights. Where does your money go then? On increasing the profile for tribal peoples’ rights and educating the public about them. This includes: contacting governments and corporations directly; ensuring how national and international laws can be used; exposing the (sometimes unintentional) racist disparagement of tribes; and putting cases to the UN and similar bodies. Much of our work nowadays is in raising the media profile of such cases. In this sense, our work is similar to Amnesty International or Human Rights Watch, but with a more specialized focus. Why do you put so much into the media profile? Because, in over 40 years work with tribal peoples, we have seen that it’s by far and away the most effective and efficient way to bring the changes we seek. We know it works. Because we’ve done it over and over again. We’ve seen intense public pressure repeatedly push governments into observing their own, and international, laws by recognizing tribal peoples’ rights over their land. Aren’t you interfering in Brazil’s internal affairs? Survival is an international organization, with supporters in over 100 countries, including Brazil. Brazilians have asked us to raise many issues with their authorities, often successfully, on many occasions. The survival of the Awá is a concern of many Brazilians, including some in government. Awá land has been legally demarcated, but its boundaries are not respected by the loggers, ranchers and settlers. The federal police have the authority to evict them and keep them out. Brazil has ratified the international law on tribal peoples which recognizes tribal land ownership rights, and its domestic laws are generally supportive of Indians. Brazil has also ratified the genocide convention, which imposes a duty on the state to investigate and prosecute if genocide is suspected. If the laws are good, why is there a problem? The loggers and ranchers are breaking the law but are linked to very powerful local interests. To oppose them requires political will at the highest, national level. So far, this has not been seen as an urgent priority. Won’t poor people benefit from the resources on Awá land? No, the timber is extracted for the benefit of rich and powerful families. Brazil is no longer a poor country (though, of course, many of its citizens live in abject poverty), and could easily afford to protect Awá land if it wanted to. The Awá are, after all, one of Brazil’s first people. Some online campaigns have been seen to have an ulterior motive, or be driven by money or forces which are not transparent. How do you react? Survival has never had any political, religious or academic affiliation. Our money comes from tens of thousands of supporters, mostly in relatively small donations and legacies. A few trusts and foundations, together with sales of our merchandise, make up the rest. We refuse money from all national governments, and have never received any sizeable corporate donations. Unlike some larger charities, we have no one on any board, committee, or staff who represents any corporate or government interest. Our accounts are fully audited in accordance with the law, and are publicly available. However, we do reserve the right to make grants ourselves without publicizing the recipients, in cases where that might harm them.